IMC - Message 2018 "Innovate - Create - Develop"
On February 26th, 2018, in Viet Tri City – Phu Tho Province, International Medical Consultants Company Limited (IMC) solemnly organized Systematic Message Program 2018 with the topic “Innovate – Create – Develop”. During the event, IMC was honored to welcome the Teachers, Professors, PhD, Scientists in the Advisory Board and guests representing the partner companies along with nearly 400 employees. This was an annual meeting to review and evaluate the results of research, production and business in 2017 and share the message and action plan for 2018 from the Board. 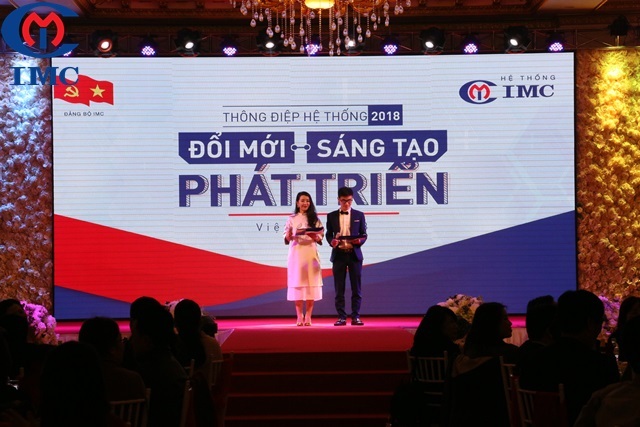 This was also a chance for the IMC system to honor and thank to the physicians, pharmacists of IMC for their dedication to medicine and pharmacy, bringing great joy and healthcare to the community on the occasion of Vietnamese Physicians’ Day. Representative of IMC, Phr. Nguyen Xuan Hoang – IMC Chairman of Board had a speech summarizing 10 outstanding events in 2017 and delivering the 2018 System Message. It emphasized that IMC needs to breakthrough in thinking, creating, strengthen the capacity of research, production and especially promoting of employee potential in 2018. In his speech, Phr. Nguyen Xuan Hoang analyzed the domestic and international events and its influence on the Vietnamese economy. The Industry 4.0 has been significantly impacting on every aspect of daily life and IMC needs to catch up with this trend. 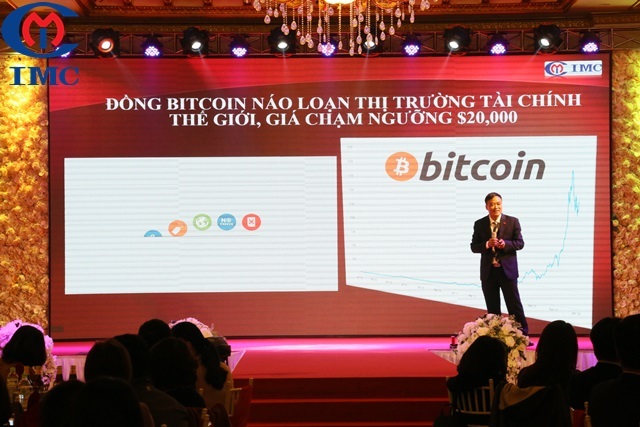 The fourth revolution brings with it significant opportunities as well as challenges for Vietnamese enterprises, especially the businesses operating in healthcare field as IMC. Therefore, IMC must constantly innovate, create, catch up with the trend of 4.0 revolution and pay the greater attention to product quality in order to dominate the market. Also at the conference, the representatives of 13 departments and individuals won the merit award for their remarkable achievements in research, production and business. Previously, Phr. Hoang To Uyen – Deputy General Director gave an impressive speech to launch the improvement and innovation movement of IMC System. The program took place in a solemn and cozy atmosphere and finished off with special performances. Copyright by International Medical Consultants Ltd., Co (IMC).